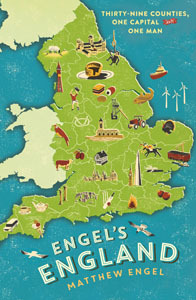 I said (page 136) that when the English across the Tamar moved to Cornwall they did not make the same mental leap that’s entailed when they move to Scotland, Wales ansd Ireland where only “the excepionally crass” would refuse to accept the place on its terms. Welsh reader Lynne Edwards has made a cogent case to the contrary in Wales, pointing out that a third of permanent residents are now non-Welsh; she considers many of them very crass indeed, unwarae of the extent to which they are damaging Welsh culture. I hope to cover this subject in a future article. The Ordnance Survey has now calculated that the furthest point from the sea in the UK is Church Flatts farm at Coton in the Elms, Derbyshire, which is 70 miles from the nearest mean low water line of The Wash. It is the home of Harry and Joyce Blackwell, who received the news with amused nonchalance. ‘I don’t think I’ve been to the sea since 1988,’ Joyce told the BBC. Deborah, Duchess of Devonshire, the last of the Mitford girls, died in September 2014, aged 94, amid much affectionate reminiscence. Correction page 282: It is St Christopher School in Letchworth, not St Christopher’s. Direct trains from Shrewsbury to London were restored in December 2014, ending Shropshire’s distinction as the only county without a direct rail link to London. Shropshire was pleased, London indifferent. It ought to be the other way round. Reader Gabriel Milland points out a flaw in the assertion (page 370) that Somerset has never produced an England footballer. John Atyeo, who played six internationals, was apparently born in Standerwick, just inside Somerset, though he played his early football in Wiltshire.